Happy Thanksgiving from the team at Alerian! 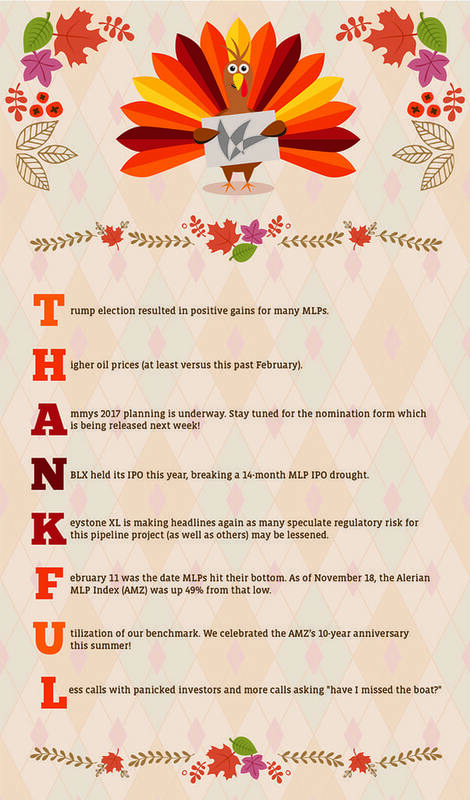 Please enjoy our acrostic poem that highlights some of the things we’re thankful for in 2016. May you count your blessings today.